DNA paternity testing is the most accurate and precise way to find out if you are a biological father of a child or not! Over time the power of DNA testing for human identification has become the Gold Standard. A DNA test at home, or a paternity test “peace of mind”, is a paternity test in which DNA samples are collected at home without the formalities required for a legal paternity test. It is characterized by the self-collection of the genetic sample by the test participants. With the sample collection kit we send you, along with easy-to-follow instructions, you can collect the DNA samples from the affected parties – most often, the possible father and the child. We have made things very simple and we have a 99.999% success rate if you follow the steps described. You then send the cheek pads to DDC and we start testing immediately. Why Paternity DNA Test is requested? DDC Laboratories India conduct all Paternity DNA Tests using a premium 20+ marker test in our State-of-the-Art Accredited testing laboratory and utilizing advanced analyzers we process every test twice, to ensure 99.999% testing accuracy. Our testing lab is ISO/IEC 17025 certified, which is one indication of scientifically sound testing and highly-skilled team is ready to answer any question you may have regarding the testing process and results. Please keep in mind that the test quality or process of “home” test is the same as a “legal” test, the only difference is that in peace of mind cases the sample collection is not performed by a professional or authorized person and Chain of Custody is not maintained. 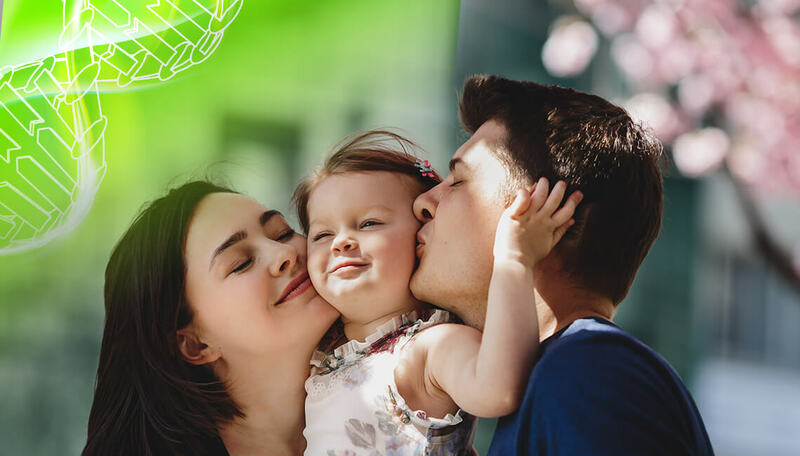 Therefore, the results are same, whether the paternity DNA testing is done for the peace of mind or for legal cases, our test results are 99.999% accurate. If you need a paternity test, DDC Laboratories India (DNA Center India) is a great choice for peace of mind and you can be assured that your test will be the most affordable and accurate DNA paternity testing. For further queries, please contact us or you may schedule an appointment with us by calling our helpline number: 7042446667 or WhatsApp: 9266615552.